In this how-to guide, we’ll talk about why page speed is important, what Google PageSpeed Insights is, and some ways that you can make your WordPress site faster and get a higher score on Google PageSpeed Insights. We talk about page load speed a bit more in depth in our How to Speed up Your WordPress Website post, so we’ll just cover the basics here. You only have 5 seconds to engage a customer before they leave your site and that 46% of users will not return to a poorly performing website. Just a one second increase in page load times leads to a 7% loss in conversions, 11% fewer page views and a 16% decrease in customer satisfaction. All of this means that if your WordPress site is loading slowly, your conversion rates will go down and you will ultimately lose customers. You want your site to load quickly so that people will stay to read your content and will in turn, be more confident about your products and services which will hopefully convert them into loyal customers. What is Google PageSpeed Insights and Why Should I Use it? Here we’ll talk about some common ways that you can get a high score on Google PageSpeed Insights. Keep in mind that all WordPress websites are different which means your analysis results will be different so the ways that you can increase your website’s speed may vary from everyone else’s. The first step is to start by finding out where your site stands currently. Like we mentioned earlier, this is a very easy thing to do. Go to Google PageSpeed Insights and enter your WordPress site’s URL and then click “Analyze”. You can also do this test on Pingdom and GTMetrix to get a more well-rounded benchmark of your page speed. Many times, changing your hosting environment to a better, faster host is a good way to boost your page loading speed. Although shared hosting can be the cheapest option, it is usually going to be the worst and slowest option. If you can get on a VPS hosting plan or a host that only has WordPress sites on it, that will help a lot. We recommend using WP Engine since it is a hosting service only for WordPress so everything about it has been optimized for WordPress websites. The ideal server response time is to be under 200ms. The next step is to make sure that you enable caching and that you have a good caching plugin. Caching your content can really help to increase your site’s loading speed. W3 Total Cache is one of the most popular caching plugins and it is free to download. W3 Total cache offers browser, page, object, database, minify and content delivery network (CDN) caching support. Minifying your code, using gzip compression, and setting your headers to expire can drastically improve your site’s speed. If you have a ton of images on your site, this next part may take a bit more time, but if you optimize your images, you can help to improve your page load time. The free plugin called WP Smush can help you bulk compress your images without losing quality. This will reduce the size of your high resolution images and this should increase your website’s speed. You can also use lazy loading images, which means that images further down the page will load after the ones on the top of the page and as you scroll down the page. There are many different plugins that you can use if you’d like to implement lazy loading images on your site. You will also want to keep your homepage as clean as possible. Make sure that you limit widgets to only the ones you absolutely need and remove any plugins that are unnecessary or inactive. If you put up blog posts on your homepage, also remember to only publish small excerpts and keep the posts per page to under 5. Having a clean homepage will not only help with speed, but will also help with organization, readability, and will keep your customers on your page. Choosing a fast and lightweight theme is also another way to increase your loading speed. There are many different themes to choose from and we compiled a list of our top 10 themes for speed here. When choosing a theme to help with speed, you want to make sure that the code has been optimized for speed, that it is responsive and mobile friendly, and that it’s not loaded down with unnecessary features. 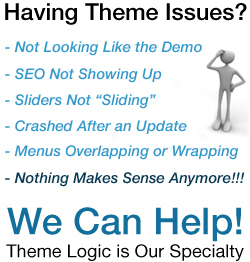 Make sure that you also consider the needs of your site when choosing a theme. By choosing a lightweight theme, you will be decreasing the amount of requests that your site makes to the server which in turn, will make your site load quicker. We talk about requests a bit more in depth in our How to Speed Up Your WordPress Website article. You will also want to enable compression by Gzipping your site which can be done a few different ways. Gzip compression can make your site faster by making your file sizes smaller. Again, W3 Total Cache has settings to help you with this by going to Performance > Browser Cache > General. Another option for enabling Gzip compression is by editing your .htaccess file. You can use this snippet of code to do that. There are also other plugins you can use for GZip compression, but if you use WP Engine as your host, be aware that they do not allow the use of the WordPress Gzip Compression plugin. The next step you’ll want to take is to clean up your database. This is especially important if you’ve been testing out various plugins and deleting them and have unnecessary database entries. Again, there are quite a few plugins out there that can help you with this process. WP Optimizer and WP-DB Manager are both good plugin options for cleaning up your database. WP Optimizer is a bit easier to use but both have the option to run automatically and they’ll clean up and optimize your WordPress database so that it’s squeaky clean. Having a clean database will make your site run better and faster. Again, like we stated earlier, everyone’s Google PageSpeed Insights analyses will be different from everyone else’s. These are some of the more common ways that you can get a high score on Google PageSpeed Insights. Increasing your WordPress website’s speed is crucial to conversion rates and will make it more likely that your customers will stay on your site to read your content. We hope that this how-to guide has helped you make your Google PageSpeed Insights score higher and your site faster!